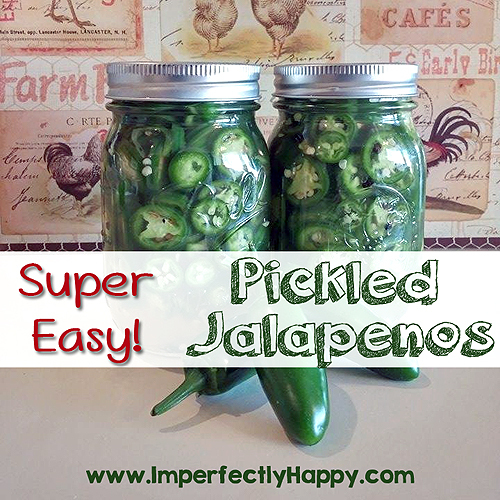 Super Easy Pickled Jalapenos? No canning required! YES PLEASE! If you love the jalapeno slices you get on your nachos at most restaurants, you’re going to love these. Not only are they easy to make, these pickled jalapenos taste a 1000x better than the ones you buy in the store…well in my not-so-humble opinion. We have one prolific jalapeno plant in our garden. I have been saving most of the harvest back for a few recipes and this is one of them. Jalapenos are one of the few crops that do very well here in Phoenix, even in the summer. 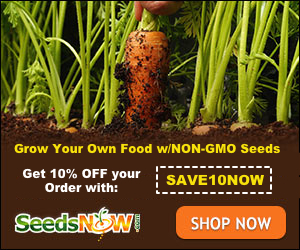 This amazing plant has never quit producing but with the warm weather it is going gangbusters. So time for pickled jalapenos. We like them on nachos, tacos, fajitas, hamburgers and even chili. They are very versatile and will keep in your fridge for months without any canning. ENJOY! Prepare the brine but adding apple cider vinegar, white vinegar, water, sugar and salt to a small saucepan. Heat to a low boil, constantly stirring until salt and sugar are dissolved. Set aside while you prepare the jars. You want your brine to be at room temperature so it doesn’t crack the jars. Add 1 clove of peeled garlic to each jar. Add 1/2 teaspoon of black peppercorns to each jar. Add 1/2 of the sliced peppers to each jar. Pour room temperature brine over the peppers, leaving a 1/4 ” – 1/2″ head space so it isn’t over filled. You may have a little extra brine, that’s ok. Put in your refrigerator and allow them to sit for at least 3 days for flavor. The longer they rest in the brine the more “pickled” they will be. The darker green color you’re used to will show up after a few days in the fridge. You’ll notice these slices aren’t mushy like most pickled jalapenos, because they aren’t cooked. Great flavor with a little crunch! Easy Pickled Eggs & Beets – Just like Grandma used to make!